After a night of intense wind, we awoke to a house with no electricity. So we lit the fire to warm the house, ran the generator for a few hours so we could get showered and ready and then headed off for a drive in the Jaguar to Mount Victoria to vote in the council election. 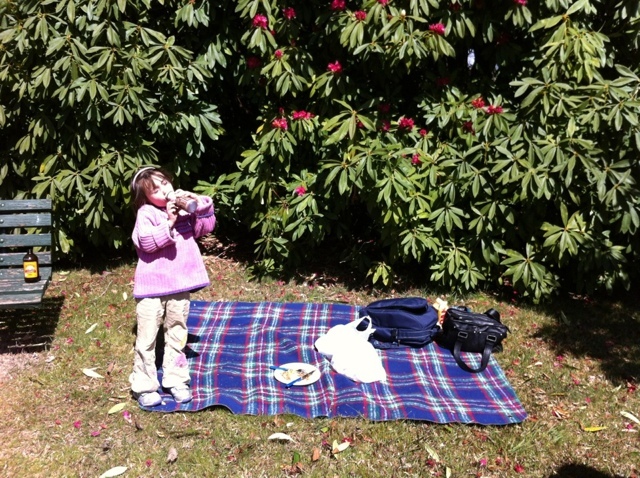 Then we headed to Blackheath for a lovely picnic in the sun. The Jaguar performed flawlessly. Beautiful shot of a great car. I have a 53 MkVII and love it to bits even after 17 years of ownership! Keep up the good work, I will be keeping a watch on your blog. 10/10, JD. G'day JD - thanks for your post, you are my first blog commenter! 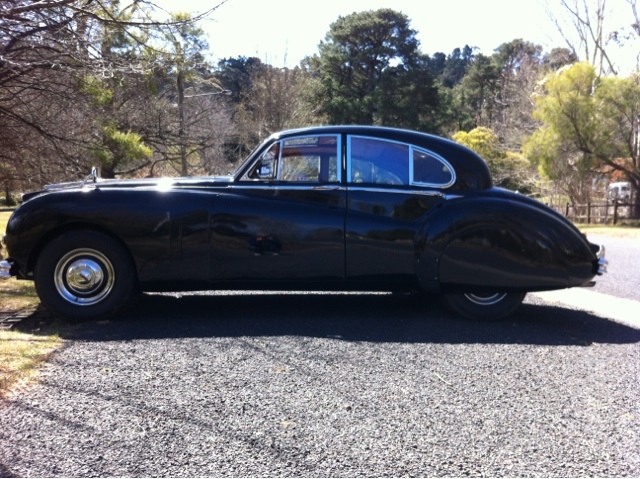 Great to hear of your years of happy Mark VII ownership. We are completely enjoying our ownership so far. Great family car. Hi JD, great idea on the "special". I wonder how our backward road rules up here in New South Wales would cope with such an idea? 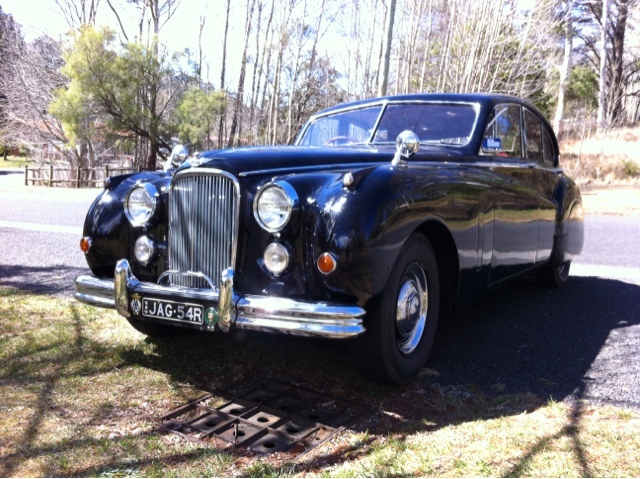 How is your Mark VII for fuel consumption? I am considering getting an electronic distributor - have you used one? Cheers, Andrew.